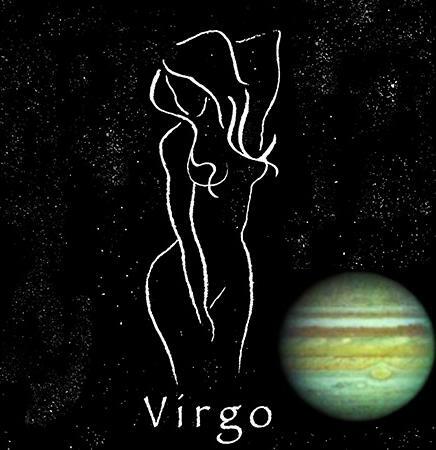 Jupiter, the biggest benefic planet which also controls financial businesses, gold price fluctuations, justice in society, family relations, fat in body etc will be entering into Virgo (Kanya Rasi) on 11 August 2016 at 08:40 IST according to K.P Ayanamsa. It will remain in Virgo till 11 September 2017 (18:08 IST) and during these 13 months, it will give positive effects for people born under moon signs and Ascendants of Taurus, Leo, Scorpio, Capricorn and Pisces. Adverse effects will be seen for those born in moon signs and Ascendants of Aries, Gemini, Libra, Sagittarius and Aquarius. For other signs, it will deliver mixed results based on transit of their respective sign lord(s). Full Moon in Capricorn (Makara Rasi) happens within 6 days after Jupiter moves into Virgo. This is good for Capricorn and Cancer born people. Emotions should be kept under control during next week. Be very careful while driving because Saturn is conjunct Mars. 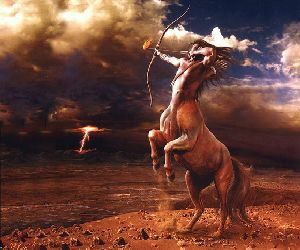 Mercury, Sun, Venus aspected by Saturn will cause few incidents of cheating, treachery, hacking, hiding information, lying etc. So be careful while you deal with people of dubious nature. Jupiter asks us to expand our experiences, our knowledge, and our understanding. It represents optimism, growth, generosity, joy, and abundance. In Leo, Jupiter encouraged us to express ourselves confidently, to be generous and creative, and to find new ways to enjoy ourselves. Now in mutable and earth sign of Virgo, it asks us to be practical, realistic and visualize results in order to feel motivated to achieve them. Only honest, practical, helpful and disciplined people will be able to attract good fortune during next 13 months. Virgo is the kitchen, digestive system and hospital of Zodiac. Service industries, nutrition, health, fitness are particularly prosperous avenues during this transit. Organic food, life style close to nature, greenery etc healthy habits will get encouragement and popularity. Someone who is more into details, fine tuning, planning will achieve more results compared to those who employ shortcut methods. If you have recently givenup your job or lost it, this is best time to invest on self-employment, cooking, food business, health care. If you have recently taken up a job (new or old), Jupiter demands planning, punctuality and commitment. Generally, Jupiter in Mercury’s signs helps us learn new languages or subjects. As Saturn goes direct on 13 August 2016, its aspect on Virgo will end and all digestive system ailments will reduce. But during this transit, it is advised to stay away from fast and junk food. Many rivers will overflow and cause floods. Heavy rains, cyclones, earth quakes will destroy agriculture. 2016-17 Winter and 2017 Summer will be severe in multiple places. People will die due to extreme weather. China, Philippines, Indonesia, Myanmar, Nepal, Thailand, North America, Malaysia, Hawaii Islands, Yemen, Taiwan, Japan will be severely effected by adverse weather like tsunamis, cyclones, volcanoes etc. China economy will be severely effected. Products made in China will lose reputation in international market. Few european countries like Britain, Greece, Germany will undergo economic crisis. USA will also face some adverse economy effects. Pakistan, Syria, France, UK, Lybia, Somalia, Iraq, Nigeria will suffer from internal conflicts or terrorist attacks. New medicines will be invented to cure diabetes, but patients number increases. Stock markets in few countries will collapse over night. Shares of only few IT, Pharmacy companies will be profitable. Shares of Banks will be unstable. Gold price will slowly increase. Guru Chandal Yoga ends but more fake gurus, babas will continue to emerge.